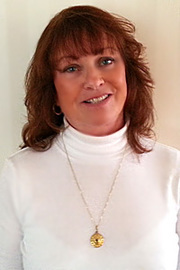 Janne' was one of the original owners and broker of Bayshore Realty, Morro Bay, CA. that just recently in 2017 partnered with San Luis Obispo Realty to cover more extensively Morro Bay and the neighboring communities. She is happy to join the San Luis Obispo Realty expert team of agents and brokers serving San Luis Obispo County. About Janne': Janne' has an intuitive ability to understand what a customer really wants or needs. "One of the reasons that I enjoy the hunt for a perfect home for my special clients is that I just plain love to look at houses! Most of all I like to get a good bargain! I have enjoyed shopping for houses for others. A bargain is always great as an added pleasure! I keep close tabs on every home in our area. I am constantly monitoring the updates, short sales, foreclosures, price changes and any news that comes up about local houses. I am able to put my clients on a program called "Client Portal" It automatically notifies my clients about all new listings they specifically want to see in real time. I always work with my clients to make sure that I am doing what they want me to. I don't enjoy being an agent that is high pressure or in any way steps over the line with what my clients want me to do. It's interesting but I find that honesty, trust and an enthusiasm shared is so much fun and rewarding both ways! I love to list houses as well. I have a theory about the feelings surrounding selling a home. It's a step into a new life, a new time and sometimes it's about letting go of the old life and memories as well. It can be a very emotional time for families that either have to sell and are feeling the loss or are excited to find a new home and will be stepping into a happy new change. I try to understand the dynamic and to help as I can. Since I have been doing this for some time, I have learned how the explain the changes coming up and the feelings that may pop up out of nowhere! My clients mean everything to me so I try my best to make any new change a good experience. I hope you will call me whether buying or selling a home. Can't wait to meet you! I have been a Real Estate Agent for 20 years. I not only sell Real Estate but I have a Wellness Center called "The Green Lotus Center" where we provide classes such as Yoga, Meditation, Tai Chi, Qi Gong, Feldenkrais, Astrology and Medicinal Herbology. We have 2 very wonderful massage therapists as well so if you are in town, stop by and get a "First time Free" class or have a relaxing Massage!